Gift baskets make wonderful gifts for just about any one, for just about any occasion. 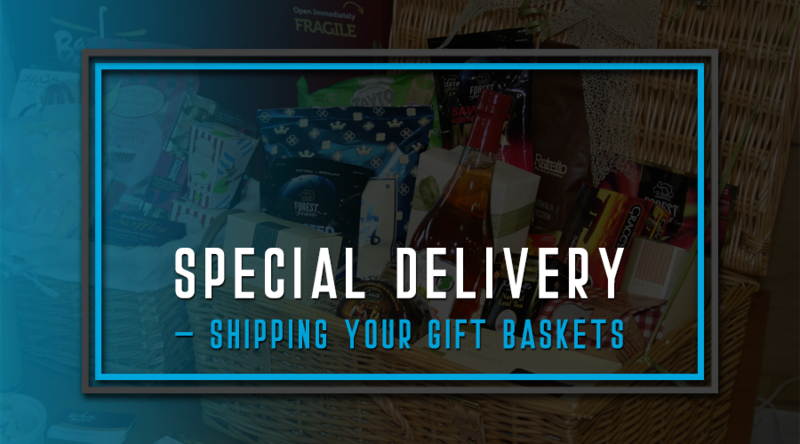 Here are a few hints from a professional that you may find helpful for shipping your gift baskets to make sure they arrives at their destination in perfect condition. Unusual containers make interesting gift baskets but when creating a gift basket that you are going to ship, choose a basket or container that is sturdy and fits easily into the shipping box. Select a sturdy shipping box that is big enough so that the basket sets in the center with about two inches to spare on all sides. Position the finished gift basket correctly in the box and surround it with packing peanuts, bubble wrap or crumpled paper so that the basket does not shift when the box is moved. Selecting items for gift baskets that are going to be shipped takes some additional thought. Consider the geographic area you are shipping to. For example, chocolates will melt if left sitting in a delivery truck for hours in areas where the temperature may reach over 100 degrees. Sending perishables is tricky even if you are shipping overnight. Avoid choosing heavy or breakable items for your basket since the weight as well as the size of the package determines the shipping cost and fragile items may break during shipping. If you are adding a fragile item, make sure it is very secure in the basket. Be especially careful if choosing to include items such as jars of salsa or mustards. If a jar containing foods like salsa or mustard were to break, you'd not only have broken glass to deal with but the entire basket would be ruined. When shipping international, check to make sure none of the items in the basket are restricted or prohibited in the country you are shipping to. The US Postal Service has listings by country of items that will not be allowed through Customs. You can find information about prohibited and restricted items at USPS.com. When shipping outside of the US you will also need custom forms which can also be found on the USPS website. Also Check and compare US Postal Service postage rates for International & Domestic shipping with online calculator.